If you're reading this, it means you care enough about the Wallace Clan to see how you can partner with us in prayer, so THANK YOU!! 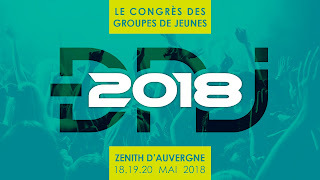 a conference with about 5,000 young people from all over France. Pray specifically for good contacts, and for the ability to pray with and encourage these young people to engage in God's mission. Please pray for our visas. We spent most of this morning waiting around at the préfecture to pick up our new identity cards, unfortunately, we were told to come back at the end of August. This is a bit discouraging because it is holding up our application for another source of revenue (the CAF). The process has been delayed specifically because we asked for the government to change our status from "visitor" to something more long-term. There is no guarantee that we will be granted this change, so please pray that God moves on the hearts of those making this important (and highly anticipated for our part, since we originally applied over two years ago) decision. Please pray for our kids' school situation, specifically Emily and Daniel. Emily has been accepted to the music school at the University of Cork in the Republic of Ireland (Praise the Lord), and now we are awaiting the approval of the university itself. Apparently, this process might not be concluded until mid-August, which will mean a lot of big transitions that will happen really quickly. Pray that we will have wisdom in knowing how to move forward for her education. For Daniel, we learned this week that an important page is missing from his application for the high school he wants to attend next year. 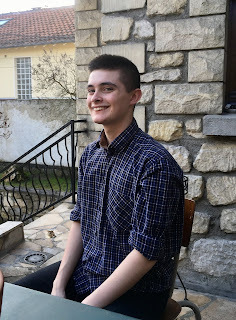 I have been on the phone with the school secretaries in charge, and despite all of his hard work this year and amazing performance on his tests and studies, they are now saying that it is impossible for him to apply for this high school. I know a God that handles impossibilities! And finally, please continue to pray for our financial situation here. Last summer was an amazing opportunity for us to reconnect with so many of you. We've seen many new people come on board and partner with us in ministry, but we are still at a deficit each month. Our heavenly Father loves and cares and provides for us - of this we are certain! We would just ask you to continue to lift us up in prayer in this area. Well, you've made it to the end of the prayer update! Congrats! Thank you for your love and support for our Clan. Please let us know how we can be praying for you as well. Just send us and email at ted.wallace@om.org or michelle.wallace@om.org.